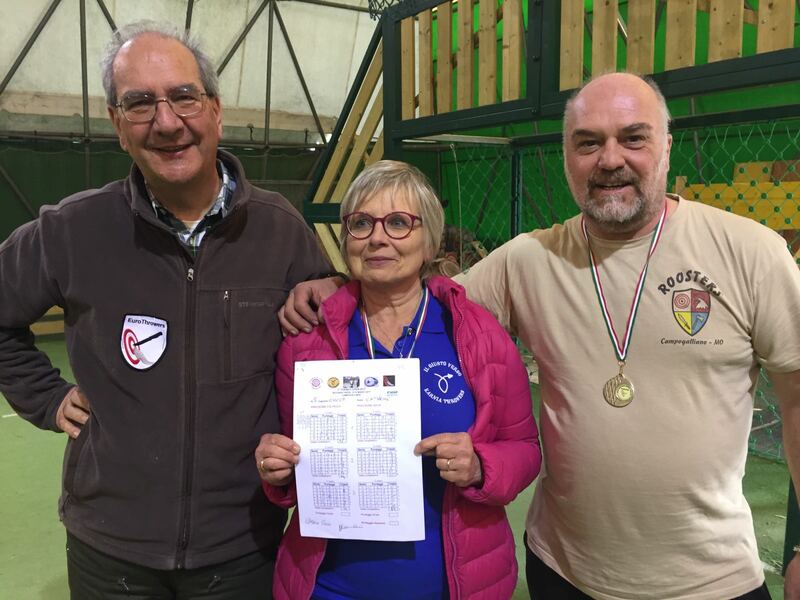 At the Open Italian Knife and Axe Throwing Tournament 2017 a new record was achieved! 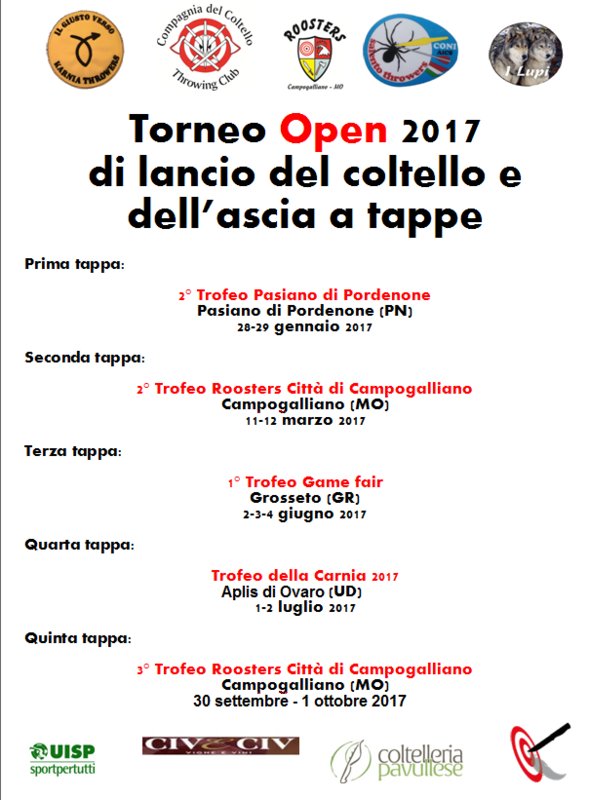 The tournament was taking place at national level, with the following clubs participating: Giusto Verso, Compagnia del Coltello, I Lupi, Salento Throwers and Lancio di Lame; The tournament was held in five stages, one of them being the competition held on March 22/23 2017 in Campogalliago. Adherence to EuroThrowers standard rules has been accertained by the main arbiter and EuroThrowers member Maurizio Davani, the rule reference having also been published in the jounal "Lame d'autore" no. 73 (p. 9). 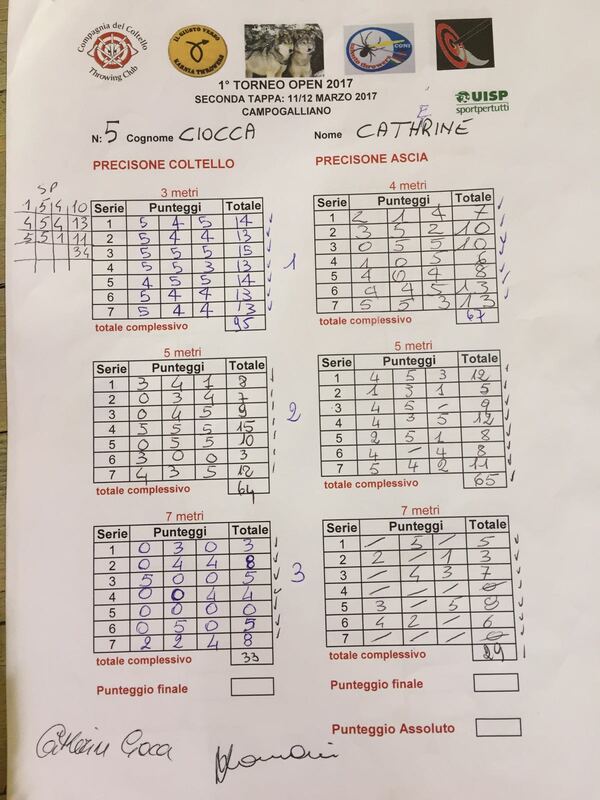 At the competition in Campogalliano, participant Catherine Ciocca scored 95 point out of 105 possible points in the event "knife precision 3m female". Congratulations to Chatherine on holding the new European record!